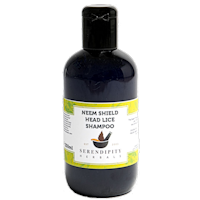 Neem Shield Spray - Protect your kids using this powerful natural formula - Keep Head Lice Away! Apply a light spray mist daily when contact problems exist - what could be easier? 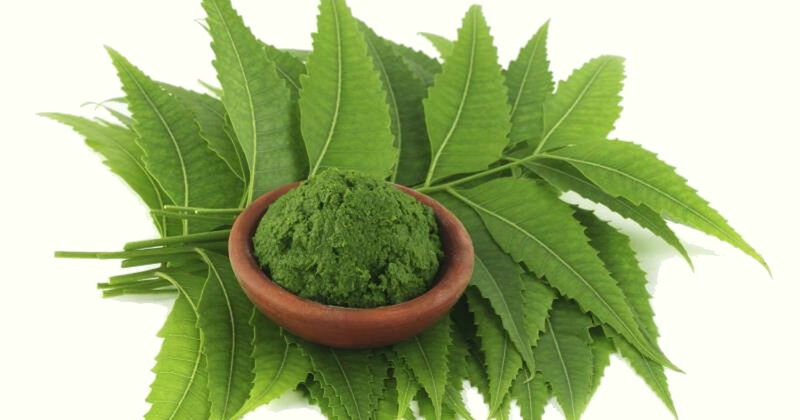 Best used in conjunction with NEEM SHIELD SHAMPOO. No preservatives, parabens, sulphates or artificial colours and our products are never tested on animals. 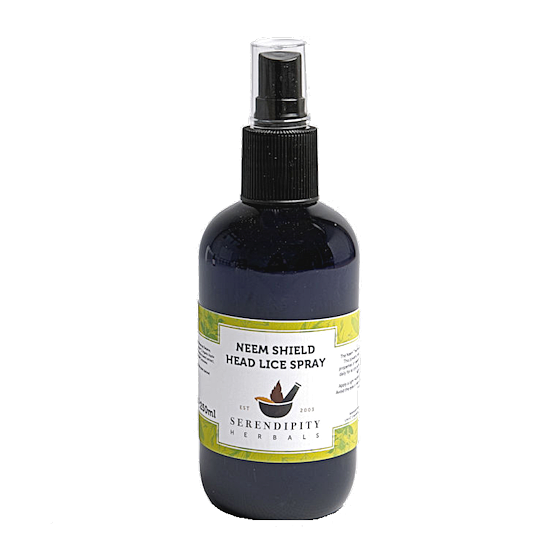 This fabulous spray completes the lice-busting system as far as I am concerned! I regularly buy the full lice-busting kit,which consists of shampoo,conditioner and neem oil.,and after shampooing and conditioning my Grandaughters hair with it,I finish off the routine with a few light sprays of this very pleasantly scented mist on their freshly dried hair,confident that my Grandaughters( tightly plaited)!hair will be safe from any of their school friends unwelcome guests which may be residing in their hair.I simply wouldn't feel confident letting the girls leave the house without it! It gives their hair a lovely healthy shine too.It's just fabulous! Excellent service, got my order asap (the next day). This is my second order - no nits so far and its lasted over a year! I have been using this product for a few years. Every time I order something, it arrives promptly and well packaged. I highly recommend this company and their products. Seems to work so far. Smells lovely. This prevention spray is brilliant. So far, after 4 weeks of use I have only had 1 live headlice on my sons head (reduced from 100 in one week!) Together with combing this stuff works. It smells lovely too and doesn't make the hair greasy. If you are having a nightmare time, then try it. It's an affordable price and has worked much better than the commercial products you get at the chemist. The bottle is big and you only use a little every day so it's going to last a long time! Great stuff! I have been using this spray on my children for over a year now. It may seem expensive but it lasts for ages and definitely works. My children have managed to avoid head lice to date despite letters coming home to say they are in the school. I'm delighted to have come across it and am spreading the word!